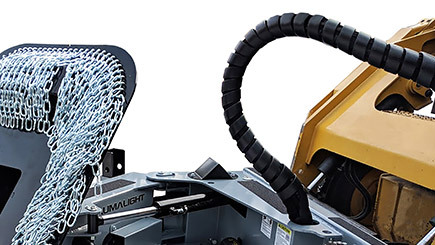 The S40 stump grinder is mounted with a bent axis piston motor. 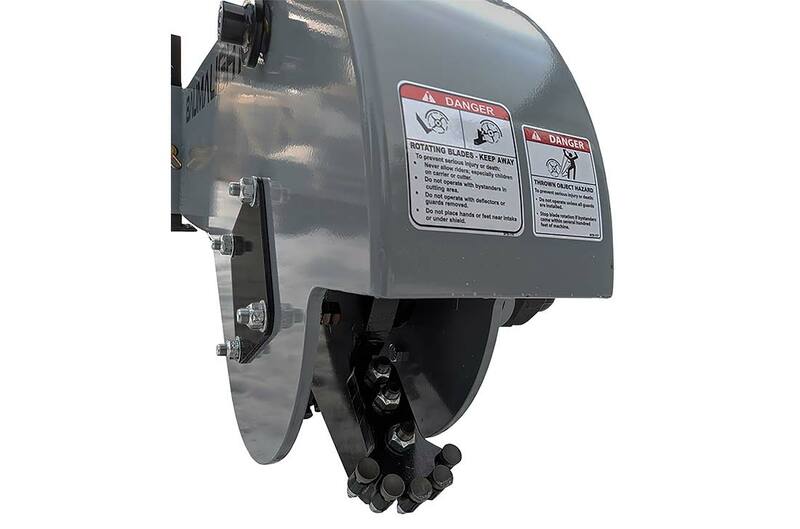 By matching a motor to your skid steers hydraulic flow these high efficiency motors make the most hydraulic power transforming it into the highest available stump grinding performance. Stocked with 20 carbide Green teeth the massive 1.25” thick steel rotor provides the back bone for the Skidsteer mounted stump grinder. The high number of teeth means that each tooth needs to do less work. Each tooth only needs to make a small cut, because the work is shared by more of these green teeth, which last longer and typically only need 2 or 3 replaced at a time. The bolt-on designed teeth allow for straightforward replacement. The teeth can also be rotated up to 3 times to provide a renewed cutting surface even in the field. 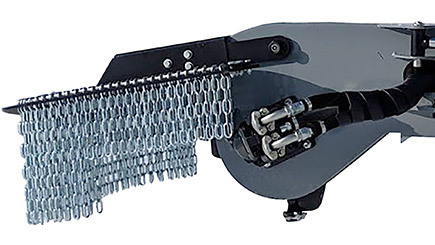 The extra-large Blast shield is designed with dual rows of chain curtains to contain and control chips during grinding. The Blast shield is hinged to give the best protection and chip control throughout the grinding process. 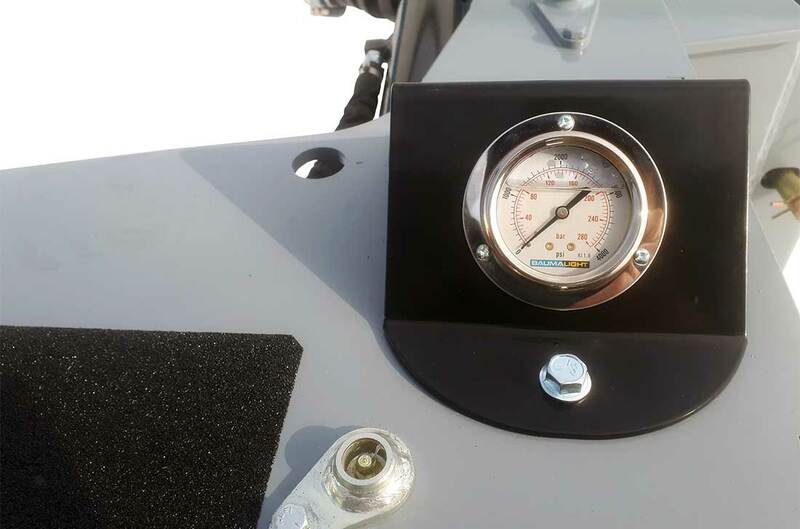 This hinge also allows the shield to be raised to get into tight areas and for easy access to the rotor and teeth. Excellent Visibility from the operators seat. 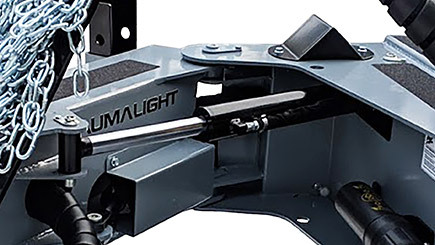 Dual swing cylinders for smoother, more controlled swing speed operation. 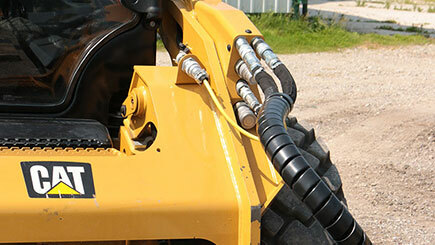 Double shielded hoses for extra protection. 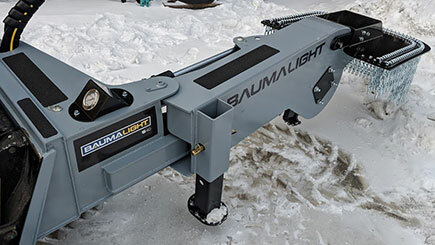 Baumalight now offers a more direct and simple way of connecting to your skid steer's auxiliary electrical connection. 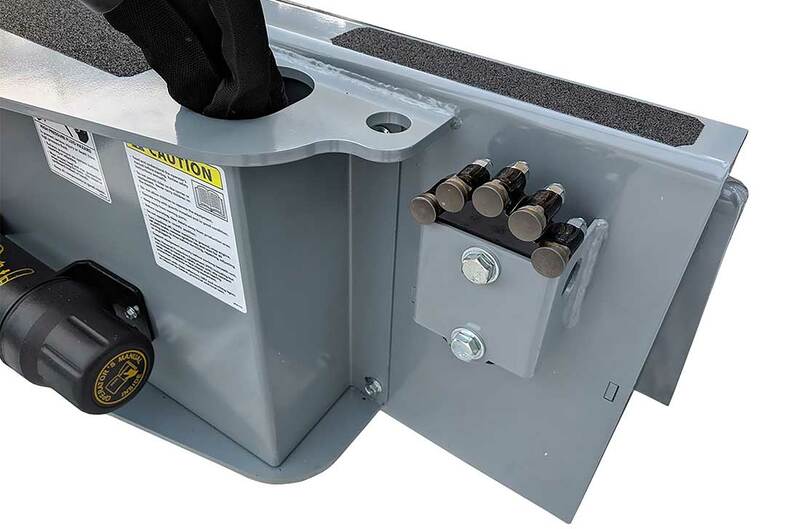 Simply connect the hydraulics and plug in the electrical. 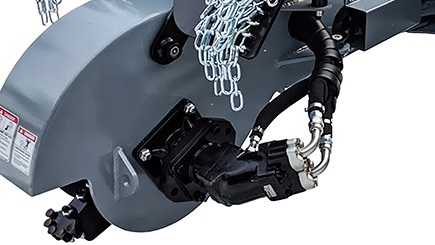 Now you can control the attachment from inside your cab. Our industry leading bent axis piston motors make the most efficient use of your hydraulic flow and pressure for your stump grinding needs. 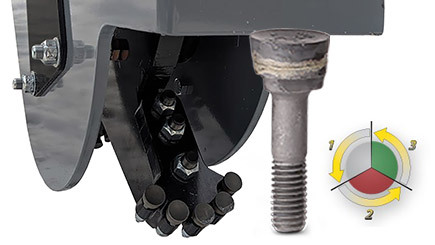 The massive 1.25" thick steel rotor provides the back bone for the Holt Eraser stump grinder. It's the anchor of the carbide teeth. 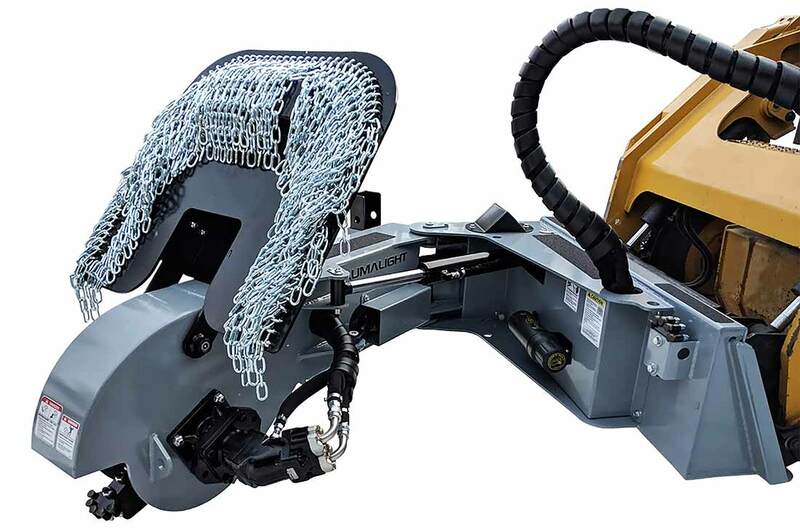 Designed with an extra-large Blast shield with dual rows of chain curtains to contain and control chips during grinding. 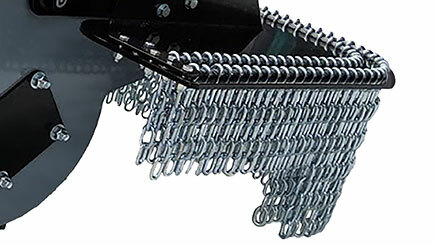 After grinding it also helps clean up giving you the ability to back fill without switching attachments. The high number of green teeth means that each tooth needs to do less work. 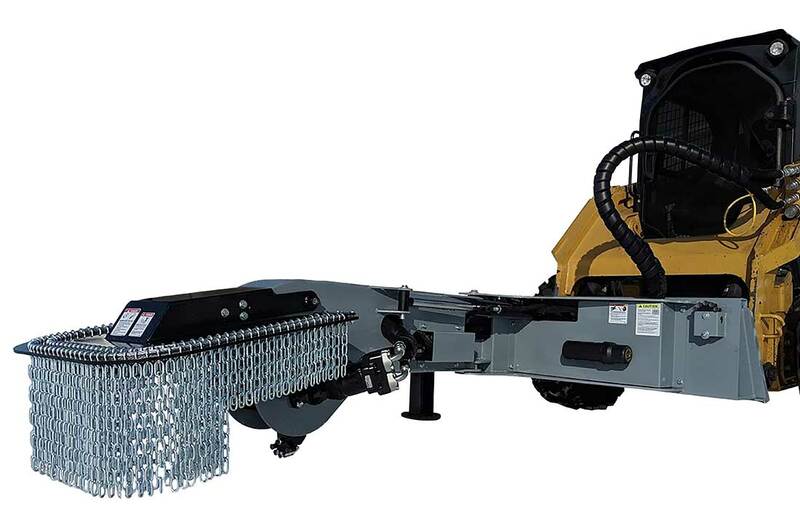 Each of the Holt Eraser stump grinder's teeth only need to make a small cut, because the work is shared by more of these rugged teeth, which last longer and typically only need 2 or 3 replaced at a time. The bolt-on designed teeth allow for straightforward replacement. 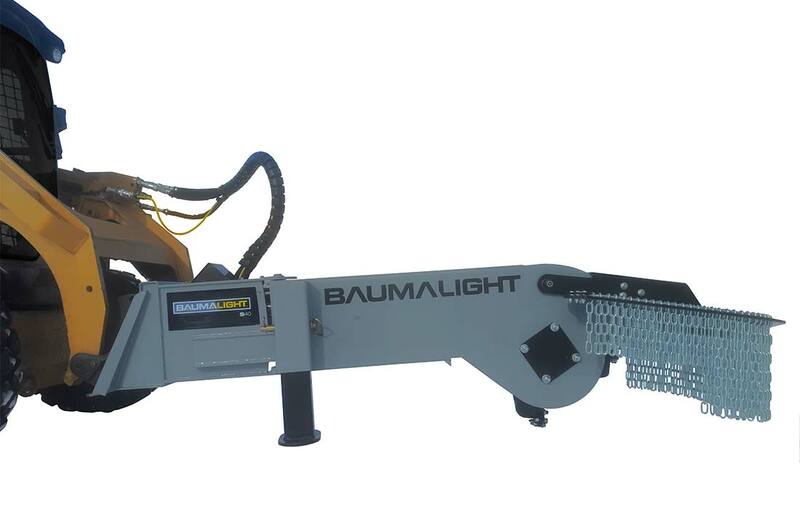 Rotor Size 18" 24" 24" 24" 24"
Cutting Depth - Below Ground 6" 10" 10" 10" 24"
Maximum Cutting Depth - Per Pass 2" 5" 6" 6" 1"
Maximum Horizontal Cut 12" 22" 22" 22" 22"
The most important part of choosing the right BrushFire is matching the correct motor option to your equipment. It can make a huge difference. In this video, we explain how to use our charts to determine which motor is right for you!